When Publisher Deborah Parrish Snyder brought Synergetic Press to the states, she was also involved in carrying through the pioneering project, Biosphere 2. The original 1984-1994 project consisted of individuals living inside a manmade, enclosed biosphere and exploring the changes, effects, and sustainability of the environment. A few of Snyder’s early earmarked publications include the first English translation of Russian Scientist Vladimir Vernadsky’s work as well as The Biosphere Catalogue. “I became deeply involved in ecologically oriented publications,” Snyder explains, including several works on biospheric studies and ethnobotany. 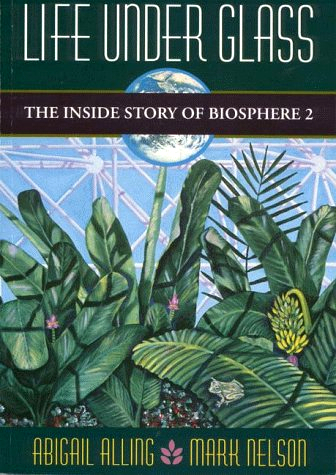 Snyder also formed The Biosphere Press under Space Biospheres Ventures, which contributed greatly to the Biosphere 2 project. Global Ecotechnics, of which Synergetic Press is a part and with which the press collaborates, also works toward a larger understanding of the biosphere. The organization is “aimed at developing ecological and cultural demonstration projects” around the world, according to its website. Synergetic Press is therefore also focused on publishing on topics associated with these aims.